Terry Victor Groce was born on March 21, 1943 in Woodward, Oklahoma to Victor Herman and Alline (Wood) Groce. Terry passed away on Sunday, November 11, 2018 at Villagio in Oklahoma City, Oklahoma. Funeral services are scheduled for Friday, November 16, 2018 at 2:00 p.m. at the First United Methodist Church of Woodward, Oklahoma. Burial will follow in the Elmwood Cemetery. Terry graduated from Sharon High School. While in high school, he enjoyed and excelled at basketball and baseball. Many lifelong friendships were developed and maintained. Terry was united in marriage to Kaye Lynn Drake. They were blessed with two children, Traci Lynn and Brian Drake. They made their first home in Woodward and Terry was employed by Woodward Sandblasting Company. After moving to Weatherford, Oklahoma, Terry graduated with a BS Degree in Secondary Education in 1967 and masters Degree in 1973. Terryâ€™s work experience included teaching, counseling, and business. The highlight of his educational career was spent coaching basketball and baseball to junior high and high school students. Many lasting friendships were developed with students that he taught and coached. 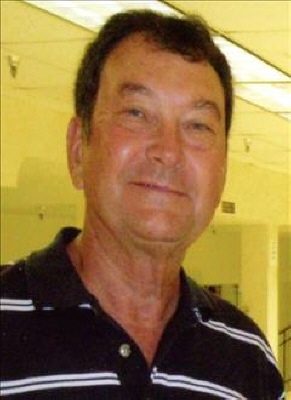 Terry was employed as Transportation Director for Woodward Public Schools retiring in 2006. Terry was very involved with coaching Kids Inc teams during Traci and Brianâ€™s softball, basketball, T-Ball, baseball and soccer playing years. Several happy and fun years were spent following Traci as a member of The Eighteenâ€™s Softball Team as a coach and Dad. Equally enjoyable were Brianâ€™s tenure on Woodwardâ€™s American Legion Baseball Team. Terry was an avid golfer and spent many enjoyable hours with his friends golfing Boiling Springs, Woodward Golf Course, and golfing road trips. Terry was a member of the (Friends Garden Club). The Club consisted of a group of men noted for passing along wise advice, humorous stories, and â€œpertinentâ€ information. Terryâ€™s greatest joys were his children and grandchildren. He enjoyed spending time whenever possible and watching their various activities. Terry was a member of Methodist Men, the United coffee klatch, Woodward Elks, Oklahoma Retired Educators, and State of Oklahoma Employees. Terry is survived by his wife, Kaye of the home; daughter Traci Lynn Meese and husband Clark of The Woodlands, Texas, grandchildren Cameron, Kalynn and her husband Christopher Hodgson, and Olivia Grace of Oklahoma City; son Brian Drake Groce and wife Staci and grandchildren Addison Clare and Conleigh Susan of Broomfield, Colorado; nieces Vickie Kenney of Weatherford and Kay Schoeppel of Fairview; many other relatives and friends. Terry was preceded in death by his parents, sister Peggy Kenney, brother-in-law Melvin Kenney and sister-in-law Ann (Drake) Williams. Memorial contributions may be made to the Oklahoma Medical Research Foundation, Dementia/Alzheimer Research and to the First United Methodist Church of Woodward/Circle of Care with the funeral home accepting the contributions. To send flowers or a remembrance gift to the family of Terry Groce, please visit our Tribute Store. "Email Address" would like to share the life celebration of Terry Groce. Click on the "link" to go to share a favorite memory or leave a condolence message for the family.